These days, there are not a huge amount of shows that compel me to watch network television, but the revived Gong Show is one that does. So what’s the big draw? The many faces of SETHWARD, of course! Two weeks ago I was promised a new animal character and when I switched the channels, the show was pre-empted for a special dedicated to the late Aretha Franklin. A sadness & disappointment tsunami hit me like, well, a giant wall of water. (Kids, I hear she left no will behind. 80 mil up for grabs! Blink.) Sure, I had to wait a week, but that was appropriate and well worth it. 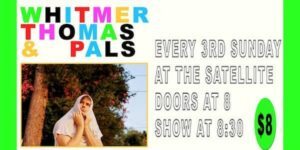 Between Tommy Maitland’s bovine puns, Rob Riggle’s unfailing willingness to participate, and Sethward’s physical comedy and deadpan performance, I couldn’t ask for more. Enjoy Sethward The Cow! Can Sethward finally clinch a win on this Thursday’s season finale? Only one way to find out! I hear carrots are involved. A teaser of things to come on this Thursday’s THE GONG SHOW. I can hare-dly wait! Mentions: More about Sethward HERE! 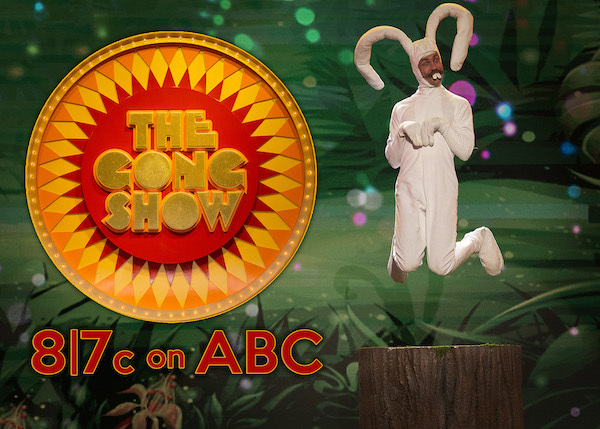 All images care of The Gong Show ABC press team.